01 August 2016, at 1:00a.m. 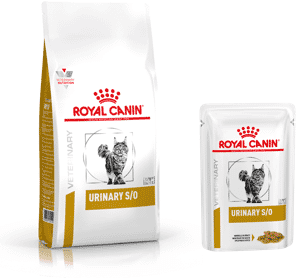 Lee Danks in the 7th in his series for Royal Canin looks at nutrition for the ageing feline population. SPEAKING IN SWEEPING GENERALITIES, cats survive longer than their dog counterparts and are therefore more likely to incur age-related disorders. They visit our practices less (think about the stress of getting a cat to the vets v. popping the dog in the car for a ride) and present to us in a more fulminant condition when it comes to the inevitable “senior consultation”. Have you heard of the “ageing pet population”? We all hear stories to sway decisions or help sell a product, but let’s take the time to deconstruct whether or not they apply to the cats we see in our daily lives. One challenge for us all is to analyse the rich dataset at our fingertips: our own practice management systems. Quickly comparing the age demographics of your patient base both today and three to five years ago will give you a reminder of where you should be focusing your attentions. Hepatopathy (15,158 cases): median age eight years (all figures from Saito and Rhodes, 2015). From a nutritional standpoint, there is remarkable evidence to suggest that changing what goes into our cat’s food bowl early in the ageing process can influence health, wellbeing and quality- of-life measures. As a profession, we generally categorise a cat as “senior” from approximately seven years of age, but need to remind ourselves not to be lazy in simply selecting the product which is marketed for that population. The WSAVA Nutritional Assessment Guidelines remind us to scrutinise older pets a little more and look for any factors which raise your “index of suspicion” to upscale a screening evaluation to an extended one. Is your patient showing signs of altered GI function, currently receiving supplements or medications, fed an unconventional diet or >10% of their caloric requirements as treats for example? The pivotal starting point I often highlight is energy. A large proportion of pets present to us in body conditions outside of a healthy 4-5/9 score and the older cat population is no exception. As with other species, a drop in lean body mass and relative increase in fat mass is seen in the older cat.4 Since muscular mass is more metabolically active, energy requirements should drop with age and unless we select a diet with restricted calories, body condition scores will rise. Let’s not forget, however, that as many as one-third of older cats have decreased digestive capacity, particularly when it comes to breaking down and absorbing fat and protein within the diet.4 In fact this insidious anomaly is the suspected reason we see less obesity over 10 years of age. This is one of many demonstrations that the ageing process is unique to each individual. Consideration of “Maintenance Energy Requirement” returns us to the necessity of not only conducting body condition scoring (alongside regular weigh- ins), but knowing how to respond to fluctuations in the animal in front of us. Modifying MER calculations according to BCS (as per Figure 2) is an important concept. It becomes a central nutritional consideration in formulating and selecting senior diets and makes plain the need to offer both higher and lower calorie formulas. Tailored diets with different caloric densities and macronutrient compositions help owners respect changing energy needs throughout the ageing process. Fatty acids – whether they be long-chain omega 3s from sh oils, short-chain essential alpha- linoleic acid or omega 6s from vegetable oils, many health- supporting claims accompany these nutraceuticals. Specific to the older pet are the moderation of cell reactivity, natural defences, cognitive function and renal health. Protein – restriction was once considered reno-protective; however, it is now contra-indicated where the maintenance of lean muscle mass is a priority. Selecting protein sources which are highly digestible and low in phosphorus means that healthy body composition is maintained, any reduced digestive capacity is countered and allows us to address the greater incidence of CKD in older cats. Note, however, that phosphorus is simply kept to the lower end of the range set for adult maintenance. True restriction should be reserved for patients with diagnosed renal insufficiency. Fibre – levels and fibre types can vary greatly, as can their effects on the gastro-intestinal system. Fermentable fibres or pre-biotics can influence colonic micro ora, and lead to the production of short-chain fatty acids as a colonocyte energy source. The balance of soluble v. insoluble fibre should be considered also. 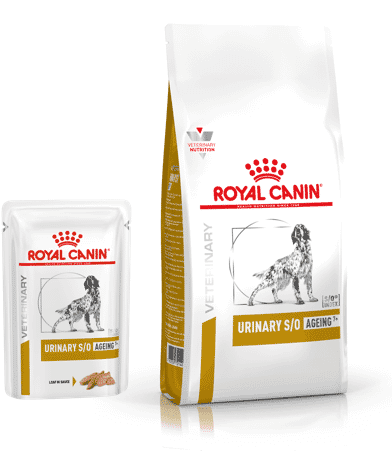 As cats are sensitive to insoluble fibre, levels should be kept below 25% given the tendency to slow intestinal transit, particularly in the older individual where constipation is of greater concern. When managing our older patients, let’s recall that the ageing process is not only inevitable, it’s insidious and highly individual. Just the same as our human bodies react differently to advancing years (the oldest runner in the London Marathon was Fauja Singh at 93! ), so do those of our beloved pets. What’s key is that animal healthcare professionals appreciate first the ageing process itself, then appreciate why there are so many choices available in nutrition. Where we dictate what goes into the food bowl every day of our pet’s life, the product we choose should certainly be the “diet of best fit”. Biourge, V. and Elliott, D. (2014) Nutritional considerations for the ageing cat. Veterinary Focus 24 (3): 2-7. Cupp, C., Kerr, W., Jean-Philippe, C., Patil, A. and Perez-Carmargo (2008) The role of nutritional interventions in the longevity and maintenance of long-term health in ageing cats. The Journal of Applied Research in Veterinary Medicine 6: 69-81. Finco, D., Brown, S., Brown, C., Crowell, W., Sunvold, G. and Cooper, T. (1998) Protein and calorie effects on progression of induced chronic renal failure in cats. American Journal of Veterinary Research 59: 575-582. La amme, D. (2005) Nutrition for aging cats and dogs and the importance of body condition. Veterinary Clinics of North America: Small Animal Practice 35: 713-742. Lund, E., Armstrong, P., Kirk, C., Kolar, L. and Klausner, J. (2009) Health status and population characteristics of dogs and cats examined at private veterinary practices in the United States. Journal of the American Veterinary Medical Association 214: 1,336- 1,341. Saito, E. and Rhoads, C. (2015) Age at diagnosis of select chronic diseases. Veterinary Focus 25 (1): 28-30. Scarlett, J. and Donoghue, S. (1994) Overweight cats: prevalence and risk factors. International Journal of Obesity 18: 22-28. Wara, A. and Datz, C. (2014) Cats and dietary ber. Veterinary Focus 24 (3): 26-32. 9. WSAVA (2011) Nutritional Assessment Guidelines. Journal of Small Animal Practice 52: 385-396.